Come December, Mamak Will Be A No Smoking Zone In Malaysia. Yay Or Nay? After months of speculations, it has finally come to a close. Well have you ever been in a restaurant or mamak where everyone is just hanging out, suddenly someone just whips out a cigarette and starts smoking. This has been the case since the beginning of mankind. Well, the new government have been in the talks about enacting a new law that creates and enforces smoke free zones. One of which, is our beloved mamaks. And it looks like he succeeded! Last month, it was make known to the public that the new law will take effect on December 2018. Offenders will be fined RM 10,000 or be jailed up to 2 years! Deputy Health Minister Dr Lee Boon Chye also said “It is also one of the ministry’s initiatives to protect the public from the dangers of cigarette smoke,” And it looks like the government will be leading by example! Parliament has announced the closer of the Parliament’s very own smoking room as well, although we do know that a certain MP might have made a fuss out of it (whoops!). 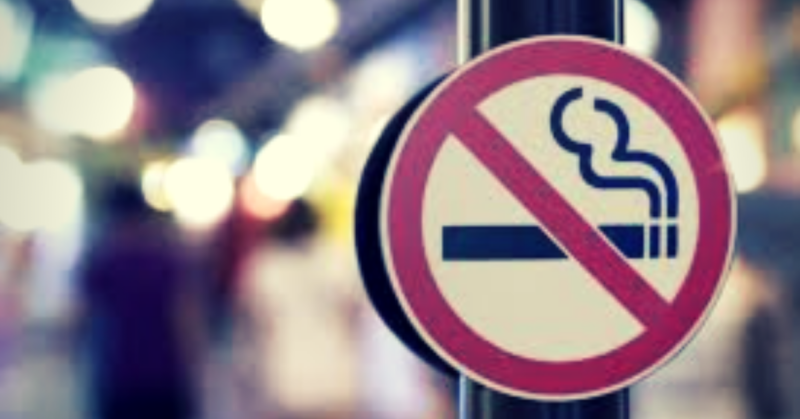 There are currently 23 areas that are smoke-free zones under the Control of Tobacco Product Regulations 2017, areas such as entertainment centres, theatres, public toilets, elevators, air-conditioned eateries, public vehicles (Bus, LRT, MRT, etc) airports, assembly areas and government premises. Although we’ve never seen anyone smoke in a government building before though. What do you think about the ban? Is it a good move by the government to try and curb and limit the areas that smokers can smoke in to protect the public? Header image source from here.